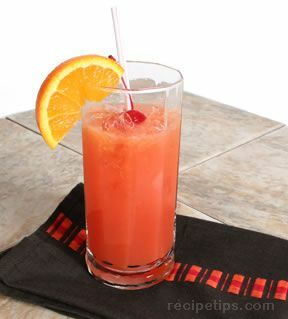 Using a lovely cocktail glass, pour 1/4-1/2 cup of pineapple juice into each glass. 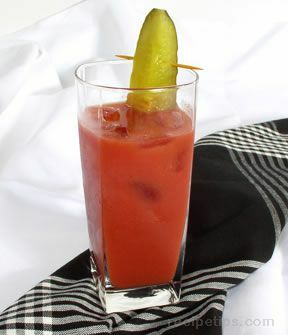 Tilt the glass and slowly pour the tomato juice over the pineapple juice. 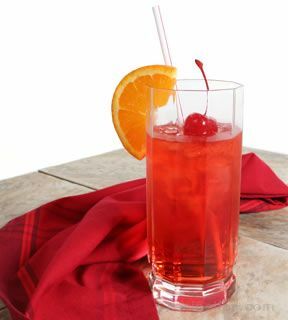 Using a glass measuring cup to pour juice will help it stay on top. Slice orange and place one on the side of each glass or on top of the juices.